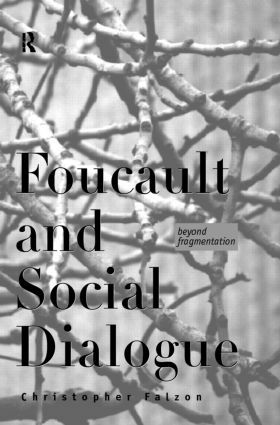 Foucault and Social Dialogue; Beyond Fragmentation is a compelling yet extremely clear investigation of these options and offers a new way forward. Christopher Falzon argues that the proper alternative to foundationalism is not fragmentation but dialogue and that such a dialogical picture can be found in the work of Michel Foucault. Such a reading of Foucault allows us to see, for the first time, the ethical and political position implicit in Foucault's work and how his work contributes to the larger debate concerning the death of man.